History books record the number of men afforded the privilege of donning our famous Old Dark Blue as 1,166. The truth is that number is far greater. Each and every week we are more than the selected twenty-two who take the field. We are a collective of thousands, a spirited sea of Navy Blue unyielding in our passion, our guernsey worn with pride and faultless dedication by men, women and children for generations. 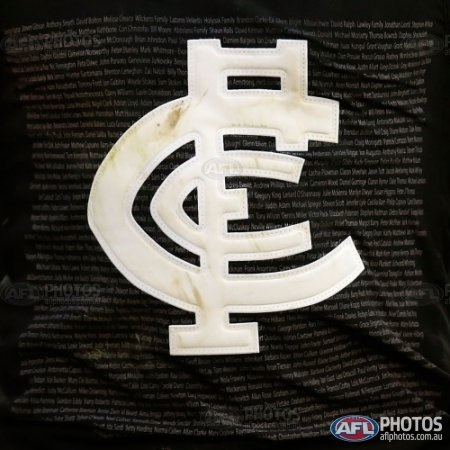 Our beloved Blueboys have faced many a trial and test, but never alone, never without the support of those countless many for whom we play, the lifeblood of any football club: our supporters and members. It is on these names which our story rests so heavily and owes so much, the spirit of Carlton having been proliferated by their loyalty. Our 2016 Member Guernsey represents an opportunity for your name to take pride of place as another chapter in our long and storied history unfolds.